BALLET FOLKLÓRICO DE MÉXICO DE AMALIA HERNÁNDEZ, on Saturday, November 18th, 2018 at 4pm @ Lehman Center. Mexico’s most prestigious folkloric dance company presents a colorful evening of traditional dance and music with sophisticated costumes. Lehman Center for the Performing Arts and GOYA FOODS proudly presents BALLET FOLKLÓRICO DE MÉXICO DE AMALIA HERNÁNDEZ U.S./Mexico Unity Tour 2018 celebrating our shared cultural history on Saturday, November 18th, 2018 at 4pm. Ballet Folklórico de México de Amalia Hernández returns to Lehman Center as part of their extended U.S./Mexico Unity Tour 2018 featuring renowned performances of the company’s classic choreography. This company is the number one promoter of Mexican dance throughout the world. 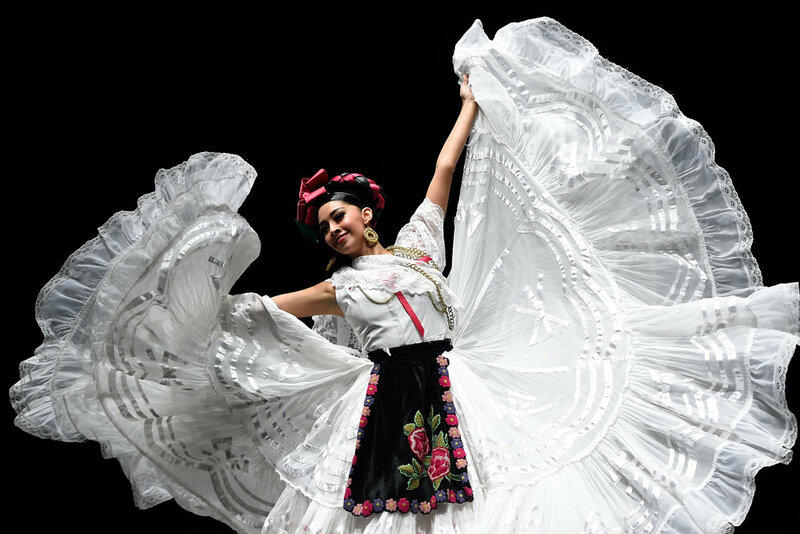 Take a journey into the diverse Mexican cultures – past and present! This concert continues the completion of the first phase of renovations at Lehman Center for the Performing Arts. Concert goers will find that the lobbies have been upgraded for ADA compliance with new ramps and carpeting, and the interior of the theater will have new seating, carpeted aisles, and finished flooring as well. The $15.4 million dollar refurbishment of the Center, which is expected to be completed by mid-2019, will also include 5,400 square feet of enlarged space, with a new main entrance and a redesigned box office, plus new administration offices and restroom facilities on the first and mezzanine floors, and an elevator. The Center seats 2,278 people in the concert hall and is the largest of its kind in the borough. Lehman Center for the Performing Arts is on the campus of Lehman College/CUNY at 250 Bedford Park Boulevard West, Bronx, NY 10468. Tickets for BALLET FOLKLÓRICO DE MÉXICO on Saturday, November 18th, 2018 at 4pm are $45, $40, $25 | Children 12 & under, $10 any seat, and can be purchased by calling the Lehman Center box office at 718-960-8833 (Monday through Friday, 10am–5pm, and beginning at 2pm on the day of the concert), or through online access at www.LehmanCenter.org. Lehman Center is accessible by #4 or D train to Bedford Park Blvd. and is off the Saw Mill River Parkway and the Major Deegan Expressway. Low-cost on-site parking available for $5.